It may have come out of the blue or is something you have always dreamed of, but relocating is a major life event, one full of adventure and new opportunities. Whether you’re upping sticks and moving abroad, retiring to a quieter area of the UK, or perhaps you’re moving to a new job which requires you a quick relocation house sale, Vivo Property Buyers are here to help you. If you need to move quickly and don’t want the uncertainty of an open-market sale, you could rent out your home as a temporary measure. 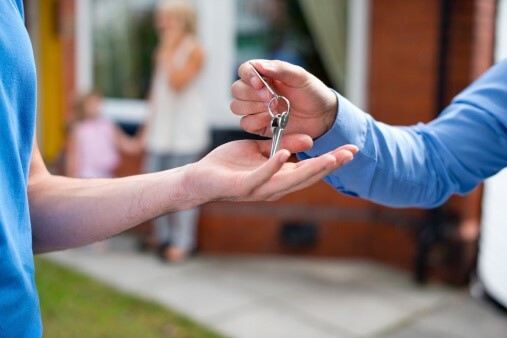 Interestingly, there has been a rise in the number of accidental landlords in recent years, with homeowners being forced to let their properties due to the sluggish housing market. If you decide that this is the option for you, ensure you meet the legal requirements with your mortgage and insurance. Once that is settled, there are several property apps to help you speedily find tenants, however, handling the property and any tenants’ concerns may be difficult when you are relocating to a different county let alone the country! An alternative is to use a property management company to manage the day-to-day operations. While this will certainly take care of your new additional responsibilities, it can be costly and you may lose the sense of ownership as well as a reduction in your profits from any rental property. Despite this, the most preferred option may be to sell your home outright – releasing valuable funds to start your new life. However, this can be an extremely tricky situation when relocating. This is because the open-market is notoriously unreliable, and deals can often fall through and break down at many stages in the property chain. This is not what you need when you face the uncertain (albeit exciting) prospect of relocation. Rather than the hassle associated with being a landlord, most homeowners relocating permanently prefer to sell their homes outright. Hiring an estate agent to conduct the sale can take some work of your hands, however, for any relocation house sale, it is likely that you need a quick turnaround and the traditional open market route can often be slow. 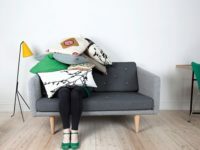 Thus if you have a set date which you need to move by, for example, you may be starting a new job at the beginning of the next month, selling your home can be very tough and extremely stressful when time is not on your side. The slowness of selling on the open market can also be quite expensive as you wait for a buyer and continue to pay utility bills (don’t forget council tax) for a property you no longer require to live in. If you have already moved to a new place, this means your bills can double, plus you may have to travel back-and-forth from your new area to your former property to negotiate deals and house viewings. Overall, it can be quite exhaustive and expensive. As specialist fast property buyers, Vivo can buy your home in as little as 5 days! This means that you can have the cash in your bank in 5 days after accepting our offer too. A perfect quick house sale. You won’t have to waste time and energy on house staging or on the tepid house negotiation process found on the open market. So if you want to relocate fast, we can offer you a quick, inclusive and efficient house sale. Our moving house checklist may come in handy once you’ve secured your fast house sale! We understand that relocating is a big task, and you will often need to sort out lots of things before your big move. So although we can buy your house in 7 days, we are happy for you to stay in your property (rent-free) for an agreed period of time until you are ready for your next adventure. Furthermore, we buy all our houses sold-as-seen – perfect if you are looking for a quick-turnaround! This means that you don’t have to spend time (and money) fixing your property to make it attractive to the open-market. We’re ready to buy as soon as you’re ready to sell. Once you have accepted our offer you have a guaranteed sale, with no last minute changes or deal collapses – perfect when you have a million other things to worry about when moving to a new location. Plus, we buy with our own money, we do not have to find cash from investors or third party sources. This helps us to buy your house quickly without last minute hiccups. By selling your house to Vivo, you have direct contact with your buyer – us! We’re contactable 24/7 via our mobiles and email. This streamlined method of communication can be really useful when you are relocating as you can call us whenever you want rather than being dictated by normal office hours! Furthermore, we’re always here for a chat and our service includes free legal advice from a solicitor’s firm which can be a great option if you are looking to move abroad. Overall, by selling your house quickly to Vivo, you can get a swift release of funds which is vital when you are preparing to relocate and start your new life. We can erase the uncertainty of a house sale, helping you to settle faster into your new home. Have a read at this article, highlighting the rise of house buying companies, and how we can help you. Furthermore, having a guaranteed house sale can be invaluable when you are looking to buy your new home in a different environment. By quickly wrapping up your former properties’ sale, it means that you are ready to buy and won’t miss out on your dream home due to circumstances elsewhere! Now you’re ready to look for your new home, you’ll want to make sure you have a house viewing checklist. Relocating can be one of the most exciting but stressful moments of your life and career but a quick house sale to Vivo Property Buyers can help reduce the stressfulness of the situation, allowing you more time to enjoy your new life. Fill in the form below and we can make you a free, no-obligation offer for your house in under an hour, so take your first step in selling your home fast! If you are considering selling your house due to relocation, find out whether your new area has been voted as one of the top 5 places to live in the UK.